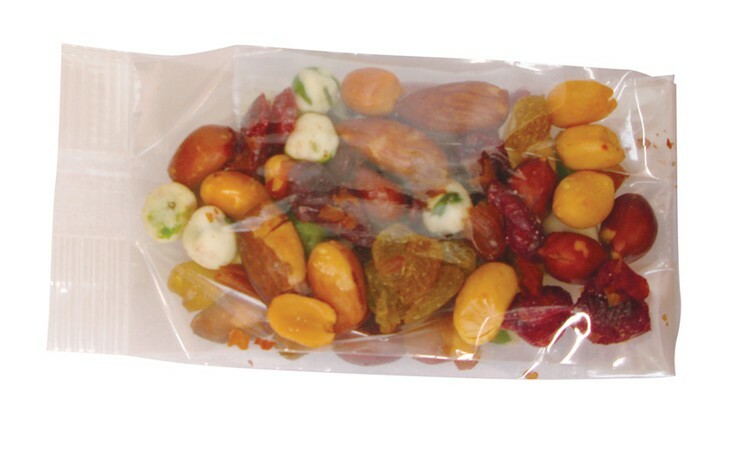 2oz clear cello bag filled with Hot & Spicy Wasabi snack mix. 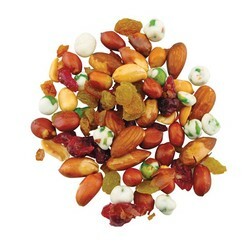 Mix contains dried cranberries, Wasabi peas, cashews, peanuts, almonds and golden raisins. Heat sealed to ensure quality.